An expedition to the North Pole intended to measure the effects of global warming ground to a halt this month when the scientist’s ship got blocked by the ice packs near Murmansk, Russia, reports reveal. 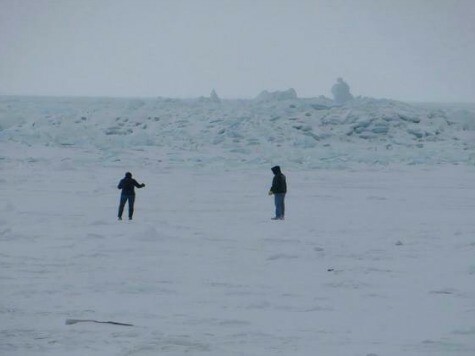 Despite their best intentions to show that the ice is melting and the temperature at the pole is higher than normal, the group has only been confronted with the exact opposite as ice continues to block their path. The website Real Climate Science notes that the Polar melt season is half over, but temperatures have not climbed high enough to sponsor a large melt off of ice. According to the site, there has not been a big melt, and ice gains seem to be very close to the amount of ice lost because temperatures near the pole have been persistently below normal this year. And at the very least, large ice floes have blocked the ocean passages around the area. The global warming expedition expected to be able to sail all around the Arctic Ocean through the Northeast and Northwest Passages because they assumed the ice would be gone, but they have been stymied because ice blocks most of the route they planned to take.